Kim McKibbon is an award winning, mixed media artist whose work has been constantly evolving. Her paintings in acrylic are infused with vibrant colours, a free flowing style and a love for the immediacy of first impressions. Her collages are intricate and layered requiring patience, skillfulness and proficiency with this challenging medium. 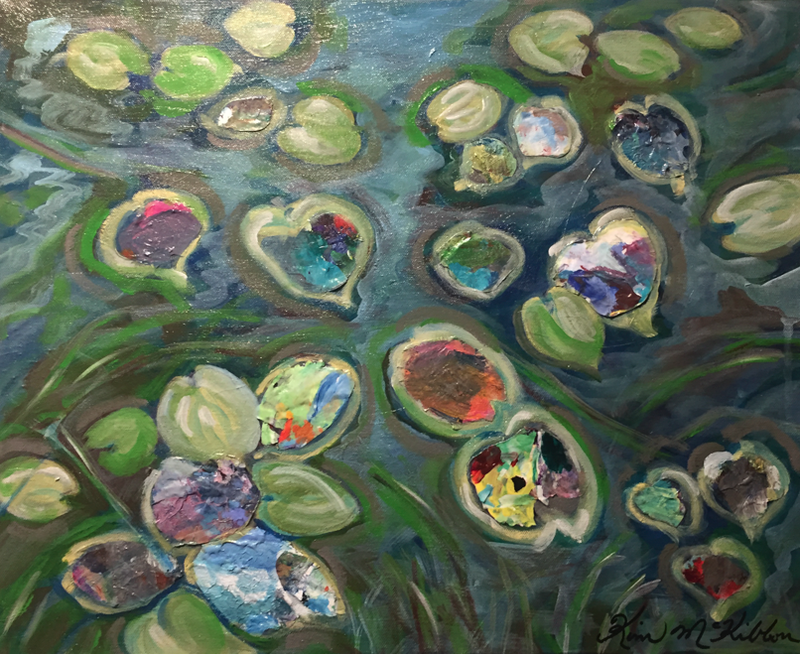 Kim's vibrant art fills the walls of her Artworks Studio in downtown Sudbury, which she opens for the many Art Crawls held throughout the year. Born and raised in Sudbury, she has a deep connection and feeling for the northern landscape. Her artwork reflects this shared relationship with places that evoke feelings, memories and meaning. Her love of travel has given Kim another avenue for inspiration, which she loves to share and take others along on the journey. She is proud to be a working artist, always wanting to push her own limits and challenge expectations. At heart she is very much an experimenter... combining deliberate intention with free flowing intuition. Both of these aspects can be found in her paintings and in her collaged pieces. Throughout the years, this prolific artist has been involved in many art shows... 14 solo shows, about 50 large and small group shows as well as many juried exhibitions. Her work has been featured many times in the Sudbury Star, Northern Life and even a CBC radio interview about her solo collage exhibit "Paper Palette". In 2017 she was invited by the Art Gallery of Sudbury to be the featured, artist at the Sudbury Theatre Centre. Her work is collected and enjoyed by many enthusiasts. At the present time Kim is sharing more of her photography and continues to work on her Northern Landscape series. On a personal note, she is the proud mom to four wonderful human beings, three sons and a daughter, and is thrilled to welcome a new daughter-in-law into the McKibbon clan!